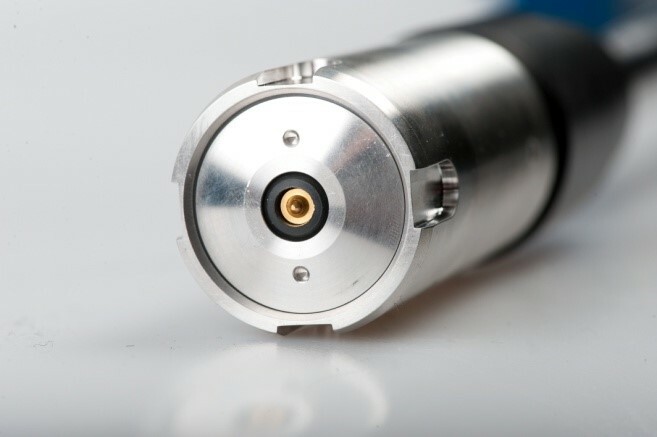 Siemens Subsea wanted to develop reliable high-power wet mate subsea electrical connectors for ultra deep-water oil wells at high pressure and temperatures. This included using PAEK materials, a family of polymeric materials with properties particularly suitable for high integrity subsea connectors. However, due to its non-linear elastoplastic behaviour and tendency to creep under loading, Siemens were unable to apply existing material data and models to their simulations with confidence. Wilde’s solution was to generate a dedicated material characterisation model, capturing both elasto-plastic strain and creep strain behaviours, for use with their ANSYS software. The future of oil and gas recovery involves accessing increasingly complex reserves with challenging environments, deeper waters and longer step outs. Siemens Subsea is a leading supplier of power solutions to the oil and gas industry and offers a range of specialised subsea electrical power and control systems, subsea connectors and sensors, as well as subsea distribution equipment and aftermarket service for subsea processing. Siemens’ wet-mateable connectors provide greater flexibility than hard-wiring subsea equipment topside by enabling modules to be placed individually where needed and connected / disconnected as required. However, to work successfully, they must be extremely reliable and operate continuously for 30 years in some of the most demanding conditions known to man. Designing for reliability is key to the Siemens product philosophy, underpinned by the most in-depth research and use of historical data on faults and failure mechanisms. Included in this is engineering knowledge of the latest materials. Polyarayl etherketones (PAEK) are a family of materials used in high integrity subsea connectors. Their properties are particularly suitable due to high strength and stiffness characteristics, as well as good resistance to material property degradation at higher temperatures. 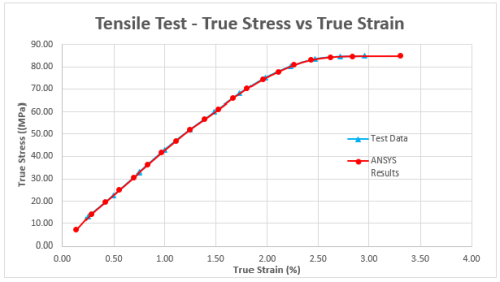 Conventional engineering materials are often evaluated numerically assuming a linear deformation response to stress. PAEK materials, however, exhibit non-linear elasto-plastic behaviour under loading, particularly at elevated temperatures. In addition to strains exhibited during short-term loading, materials held under constant load for a period of time exhibit non-recoverable creep strains. 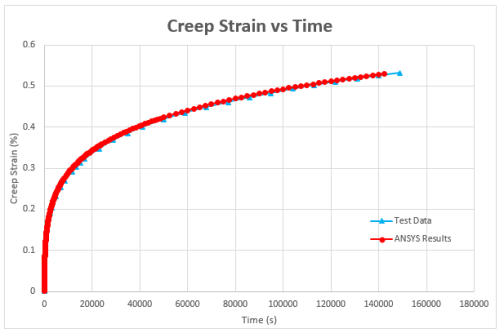 This behaviour can be replicated numerically via a creep model, which typically uses either a time-hardening or strain-hardening rule to predict the creep curve under a variable stress history. Siemens uses ANSYS structural analysis software that has the capability to replicate creep behaviour through a number of different constitutive material models. However, they did not have sufficient data to create a suitable model for a PAEK that would yield accurate FEA results. As their ANSYS software and training partner, Wilde proposed to project manage and execute the development of a unique model for their material. This included working with a materials testing associate to specify and acquire the physical data. Once the physical test data was obtained, Wilde’s engineers created suitable numerical material models. These models were then optimised and validated by replicating the tests within ANSYS software before releasing to Siemens for use within their development activities. In order to achieve correlation between numerical and physical results, a multi-linear isotropic hardening rule for the load up phase was used. This was followed by a creep analysis phase using the Generalised Graham creep law. Good agreement for both of these was achieved between the ANSYS models and physical testing. By managing the acquisition of material test data and creating validated models, Wilde freed up valuable time for Siemens engineers to focus on using ANSYS within their research and development activities. With optimised ANSYS material models, Siemens now have the confidence to run accurate simulations, enabling them to innovate and develop reliable designs more efficiently ahead of prototype and verification trials.